In my last email I talked about how by just having a 3% performance edge over your competition can yield results over ten times greater. See what you can pick up on this video that you may have not known before. If you find a golden nugget on this video, mine the heck out of it and make that your focus when you practice. Very helpful as all your videos are. I like among other things how you show what your teaching first. 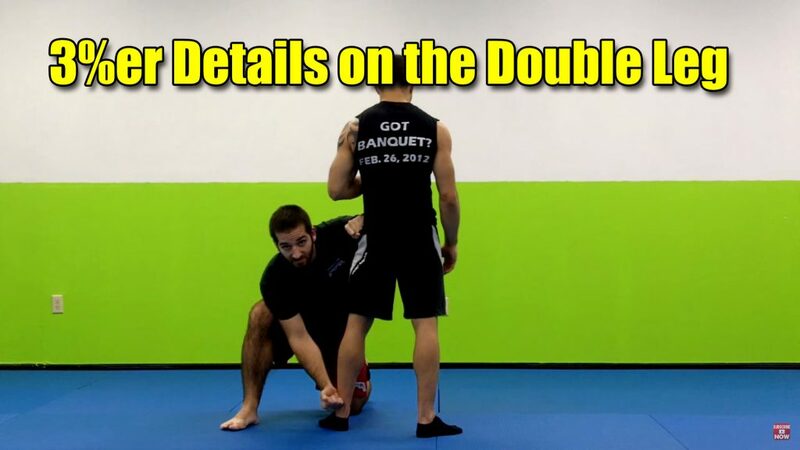 I can now do and teach the double leg takedown better. Very clear explanations and great video – thanks. Nice technique,but don’t you think your opponent can deliver a Hiza-knee strike to the face when going to grab the legs. One needs to fast with this technique..
That is always a concern. That is why having good setups and timing is important.